Each week we all memorize passages of Scripture, and every Friday we say them aloud. 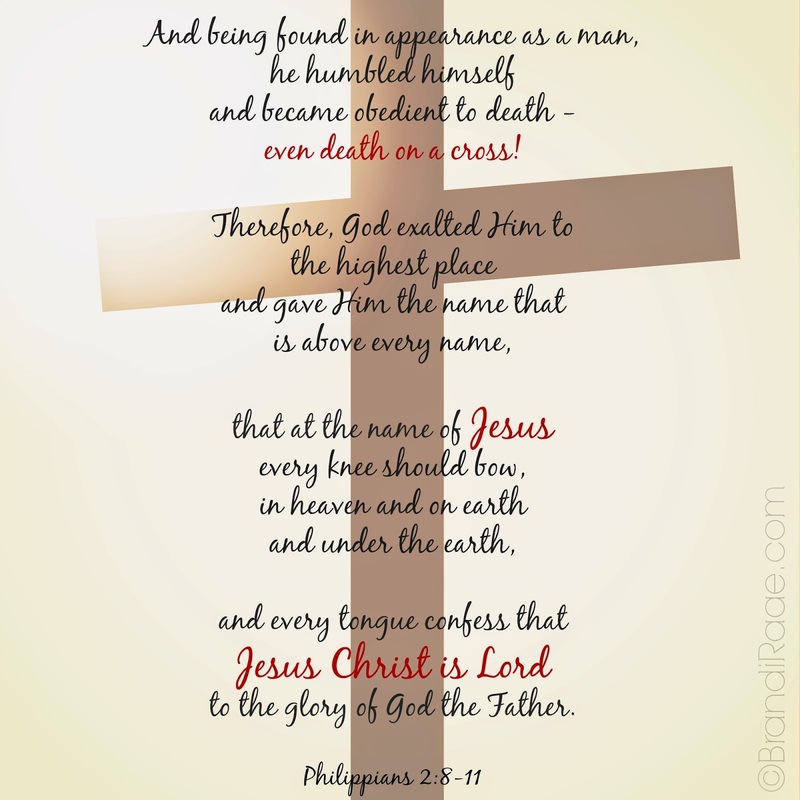 In less than an hour, I'll be reciting the above verses before my husband leads our morning Bible study. Every Easter my biggest fear is that because I've heard the salvation message so many times and have been a believer for so long, I will become numb to the incredible miracle of grace. I will tell you, though, tears unexpectedly welled up in my eyes as I was typing those beautiful words from Philippians chapter 2. I am glad that no matter how old I am as a Christian, hearing those words never gets old. In fact, I think they may be getting more powerful, more meaningful as I mature in the Lord. The older I get, the more I realize just how wretched I am, the more I realize there's nothing I can do to remove the ugly stain of sin from my being. It's only by His Blood, praise God!